Bassist/Composer Avishai Cohen, born April 20, 1970 in Israel, a musician who has been called a “jazz visionary of global proportions” by DownBeat, and was declared one of the 100 Most Influential Bass Players of the 20th Century by Bass Player Magazine, is renowned around the world as an influential double bassist and profound composer, and has received a deluge of critical praise for his recent recorded output and live performances. In February of 2005 Razdaz Recordz released At Home, an album that was arguably Avishai Cohen’s most compelling and striking new recording to date. That is until the artist conceived of, and recorded his newest CD, the spectacularly beautiful, Continuo. 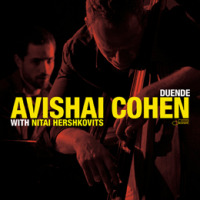 Continuo (a Baroque term that is generally the practice of creating an accompaniment from a composed bass part and improvising harmony above them, or, improvising accompaniments from figured bass), is a recording that once again reflects Avishai Cohen’s life in music by combining the glorious influences of classical music and Middle Eastern music. Essentially, “fusing the two worlds of East and West. These elements together produced the combination of sounds I was looking for, and created a nice balance between composed and improvised music. I’m excited and proud to offer you some moments of my life once again, reflected through the music,” says Cohen. 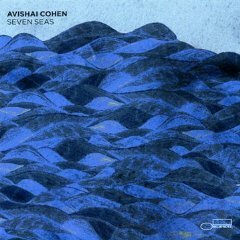 This recording also reflects the magic of a working band, which in this music is stronger than any concept,” says Avishai. He continued, “I’m very grateful to have two young masters (Sam Barsh and Mark Guiliana) of their instruments with me to convey that, young in their ever thirsty minds for more information, and old enough in their souls to emotionally express themselves on a very high level through the compositions.” Continuo, the follow up recording to the critically acclaimed At Home, will be released on May 23, 2006 through Sunnyside Records, and will be distributed by RykoDisc. Until late in 2003, Avishai was a member of the Chick Corea New Trio (the bassist is prominently featured on the 10 DVD boxed set Chick Corea: Rendezvous In New York), and accompanist to other jazz note-worthies, including Bobby McFerrin, Roy Hargrove, Herbie Hancock, Nnenna Freelon, Claudia Acuña, Paquito D’Rivera and many others. Avishai has become a first call musician in multiple genres. In 2003 he made a studio recording with pop-soul artist Alicia Keys, and has also performed concert works with the London Philharmonic Orchestra, the Israel Philharmonic Orchestra and The Boston Pops Symphony. 2003 was a busy year for the bassist/composer. In addition to his playing and composing activities, Cohen decided to create his own record label, preempting the course that fellow artists Dave Holland, Dave Douglas and many others have since taken. “I’ve always been interested in several genres of music, including jazz, rock, pop, classical, Latin and funk,” said Cohen. “And I’m always packed with ideas, so I decided to start my own label because I’m involved in so many different projects.” In addition to releasing his own recordings, Razdaz is gearing up to release the debut recording of drummer Mark Guiliana’s genre-busting band Heernt, “Locked In A Basement” (in stores on May 23), featuring Guiliana on drums, trombone and electronics, Zac Colwell on saxophone, flute, keyboards and electric guitar, and Neal Persiani on electric bass. Razdaz Recordz is distributed internationally and in the US by Sunnyside/Ryko Distribution. The label released its debut CD, Avishai’s Lyla in September 2003. The second recording on Razdaz Recordz is extraordinary 11-song collection, At Home, a recording that showcases Cohen’s multifaceted musical prowess (released on February 22, 2005). Avishai Cohen will be on a worldwide tour with his trio, plus special guests, in support of Continuo throughout 2006, including engagements at Ronnie Scotts, The Blue Note (Japan & New York) and Dimitrious Jazz Alley, The Ottawa Jazz Festival and appearances at the JVC Jazz Festivals— New York and Newport. Mark Guiliana is going to be HUGE. Watch out!” Kurt Stein, Fever Pitch Magazine Before graduating William Paterson College in 2003, drummer Mark Guiliana formed a rock band called GADU‚ which included Avishai Cohen. This musical relationship led to Mark's participation as drummer on Cohen’s last two recordings‚ Lyla (which he also co-produced) and At Home. Mark is also drummer, trombonist, electronicist, and co-founder of Heernt, an experimental, genre-busting trio that will have their debut recording Locked In A Basement” released on Cohen's Razdaz Recordz on May 23, 2006. Mark has traveled around the world, with performances at Carnegie Hall‚ the JVC Jazz Festival in Paris‚ Istanbul Jazz Festival‚ Ronnie Scott's in London and others. He has recorded and performed with Bobby McFerrin‚ the Jazz Mandolin Project‚ James Williams‚ Jason Lindner‚ and more. Shai Maestro joined the Avishai Trio as a fresh new voice in 2006. Gifted pianist Shai Maestro was born in Israel during 1987. He began playing classical piano at the age of 5. His first exposure to jazz music was at the age of 8, listening to Oscar Peterson's Gershwin Songbook. He was later accepted to the Thelma—Yellin High School of Performing Arts in Givataim where he completed his studies with honors. While taking extended literature classes.. While still a sophomore, he received a full tuition scholarship to attend Berklee College of Music's 5 weeks Summer Program for two consecutive years. While on a concert tour in the US, including a performance at the IAJE with the school's big-band, he auditioned to Berklee for the 4-year program and also received a full tuition scholarship. In 1997, Maestro was first exposed to Avishai Cohen’s music in a concert of the Chick Corea Trio with Gary Burton in Sweden. Avishai's music had and still has a huge influence on Maestro’s musical development alongside with the influences of Bach, Chopin, Beethoven, Keith Jarrett, Brad Mehldau, Herbie Hancock, Miles Davis, Chick Corea and many others as well as German authors Herman Hesse and the Israeli philosopher Yishayahu Leibowitz. November 2008 Blue Note announced that it has signed a worldwide deal with bassist/composer/singer and bandleader Avishai Cohen. Cohen's debut release for Blue Note—his 11th album as an ensemble leader—will be recorded in December in Paris with the release scheduled for spring '09. 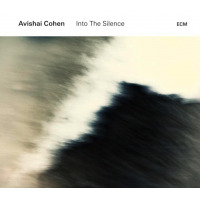 ECM Records Releases Avishai Cohen's "Into The Silence"
All About Jazz musician pages are maintained by musicians, publicists and trusted members like you. Interested? 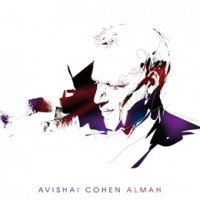 Tell us why you would like to improve the Avishai Cohen musician page.